Today is the last day to sign up as a charter member of the new website Walking the Bible Lands. Walking the Bible Lands is a marvelous resource for all those who have longed to visit Israel and for those who would love to return. 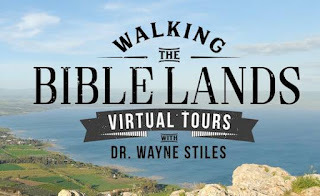 The beautiful video footage makes you feel like you are right there, and Wayne Stiles carefully guides the viewer through his excellent biblical teaching and application. By joining this new site, you will feel like you’re there, without the scorching sun or the obnoxious crowds. I highly recommend it to all! I have joined and love it!